Successfully Added VKWorld T6 Smartphone - 6 Inch IPS HD Screen, Android 5.1, Dual SIM, 4G, MTK6735P Quad Core CPU, 2GB RAM + 16GB Memory (Black) to your Shopping Cart. 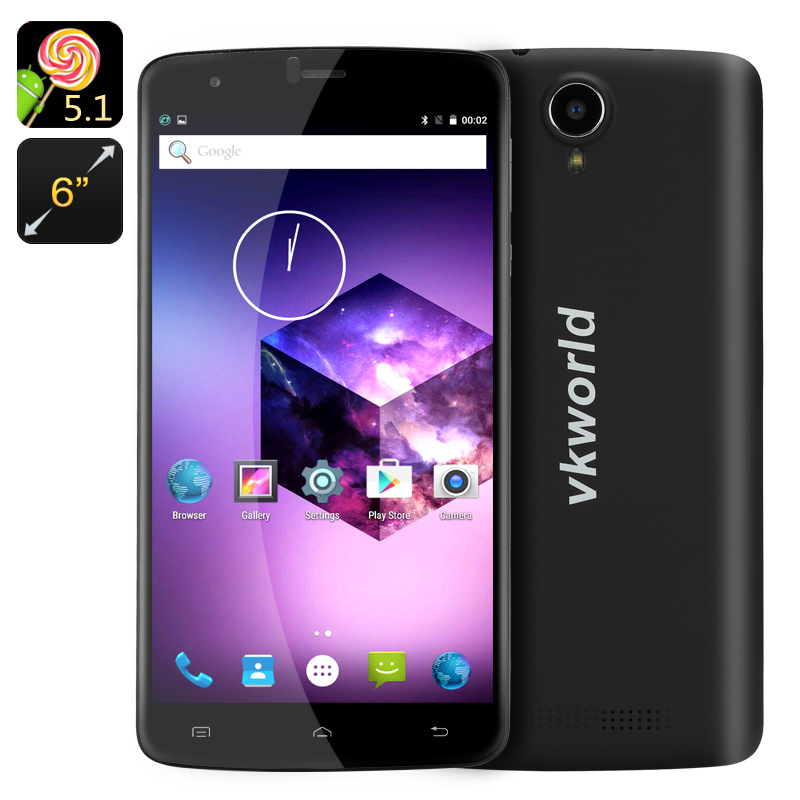 The VKWorld T6 smartphone comes with a 6 inch IPS HD screen, Android 5.1 operating system, 4G connectivity on two SIM cards, a quad core processor and more. Enjoy a smooth operation and loads of media fun with the VK World T6 smartphone. Sporting a 6 inch IPS HD screen and Android 5.1 interface, it comes with everything you need for great entertainment, including quick access to the Play Store for apps and games..
With 4G connectivity, you will always be able to enjoy fast web speeds, easy downloads and get timely social media updates. The Android smartphone lets you enjoy all the benefits of 4G connectivity on two SIM cards. This is a great way to keep your professional and private lives separate with two different accounts on one device. This smartphone has 2GB of RAM and with the MTK6735P Quad Core CPU, you will enjoy a seamless operation, multitasking and easy gameplay. With 16GB of internal storage, you will have plenty of space for all your files — and with a micro SD card, you can expand your storage with an extra 64GB of space. The 3000mAh battery guarantees up to 400 minutes of non-stop talk time and almost 200 hours on standby. Smart Wake and Gesture Sensing bring improved navigation experience. Smart Wake lets you draw a letter on the phone’s locked screen to quickly access the needed app, while Gesture Sensing offers control of come features with simple gestures. The VKWorld T6 Smartphone comes with a 12 months warranty, brought to you by the leader in electronic devices as well as wholesale Android Phones.. I took the phone, I turned it on, I used it. I liked it.